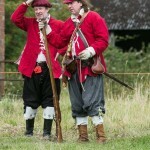 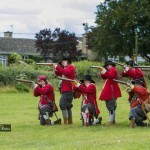 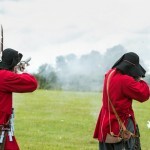 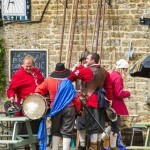 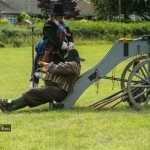 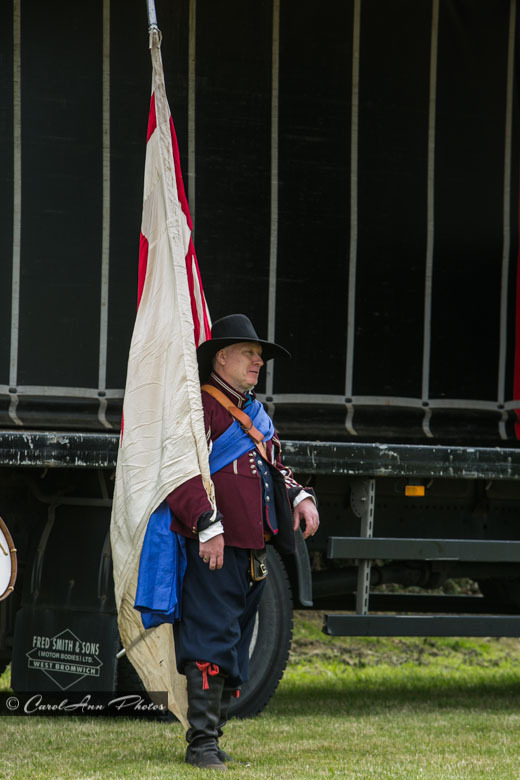 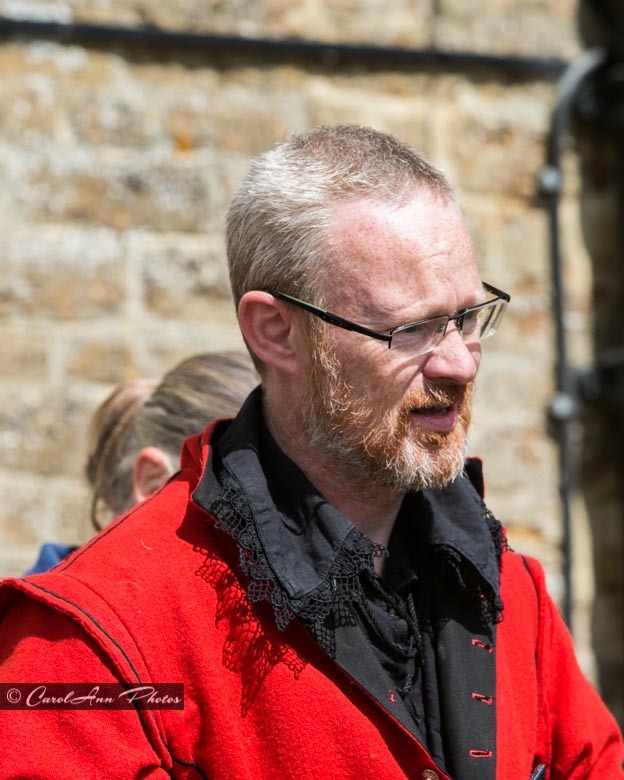 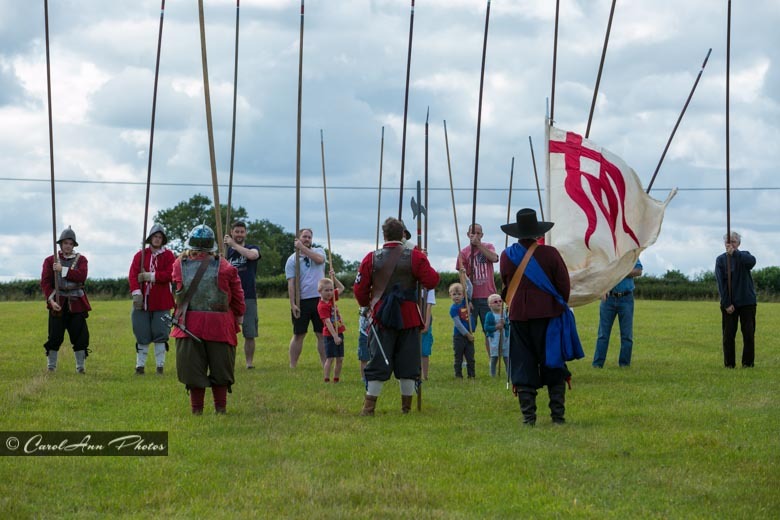 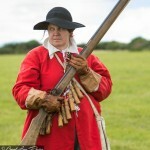 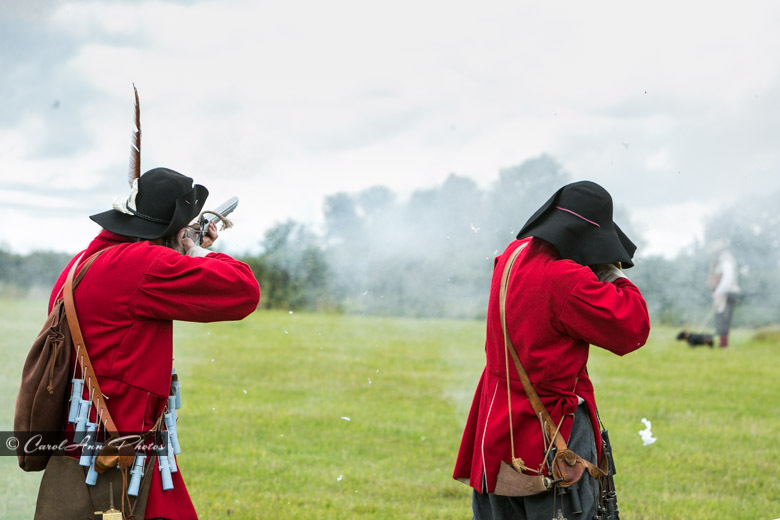 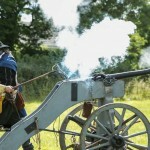 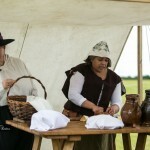 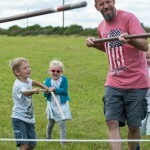 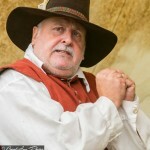 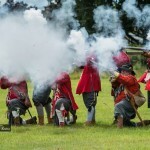 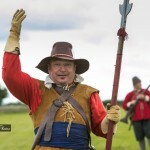 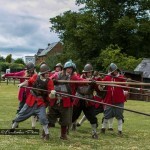 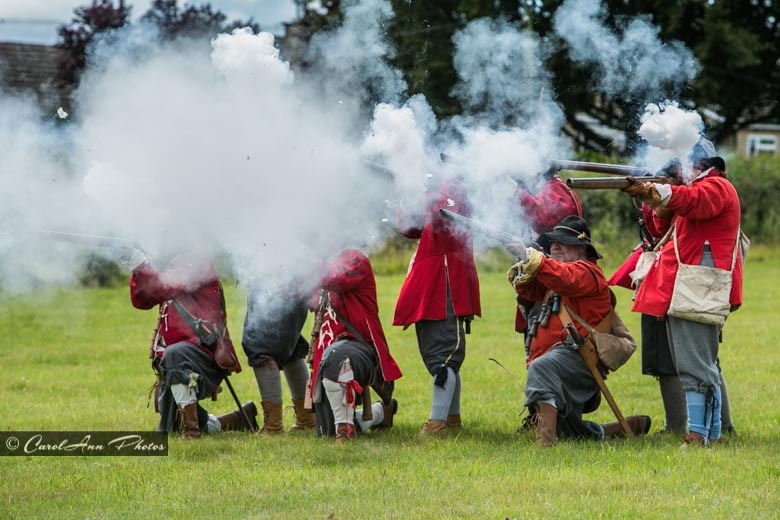 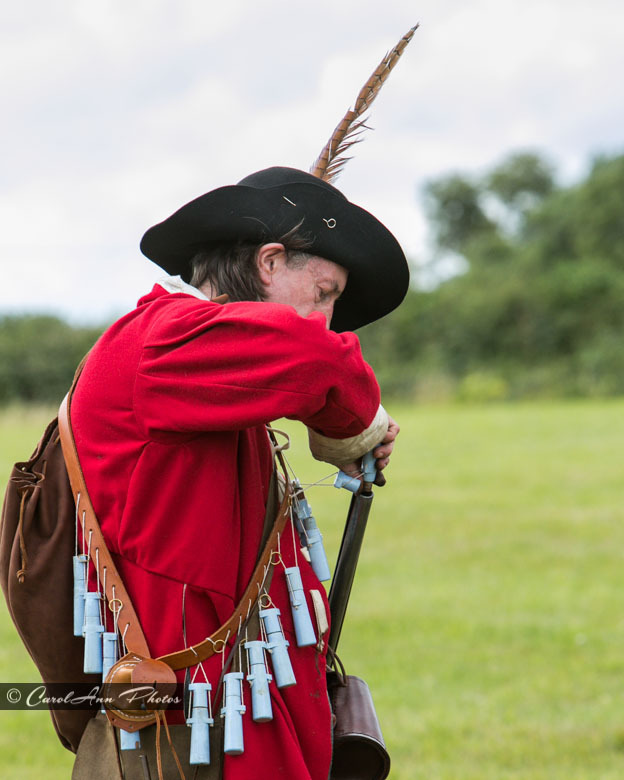 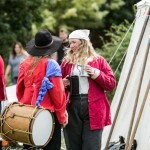 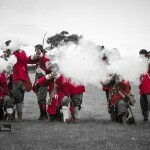 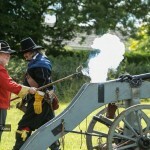 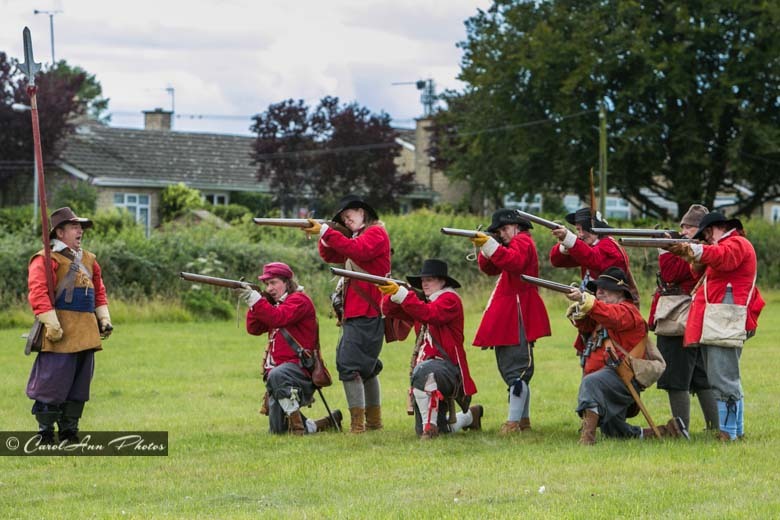 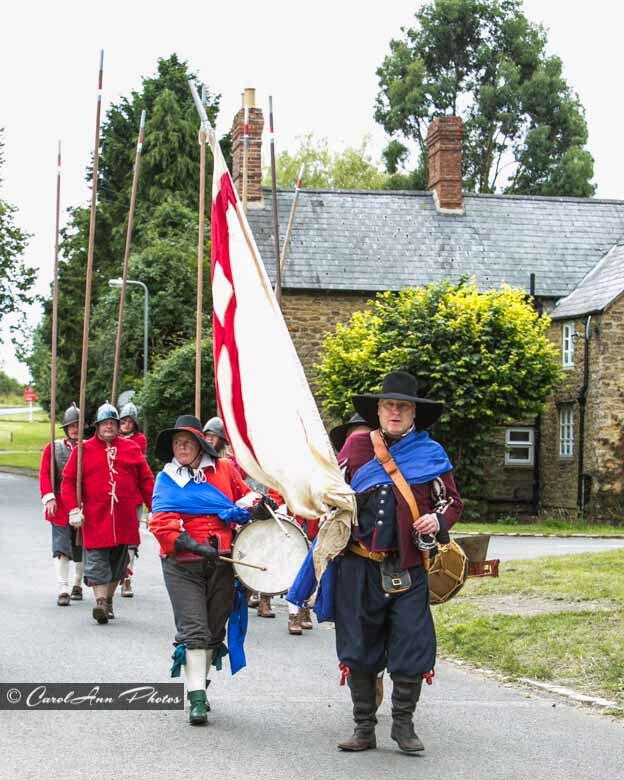 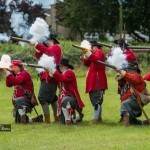 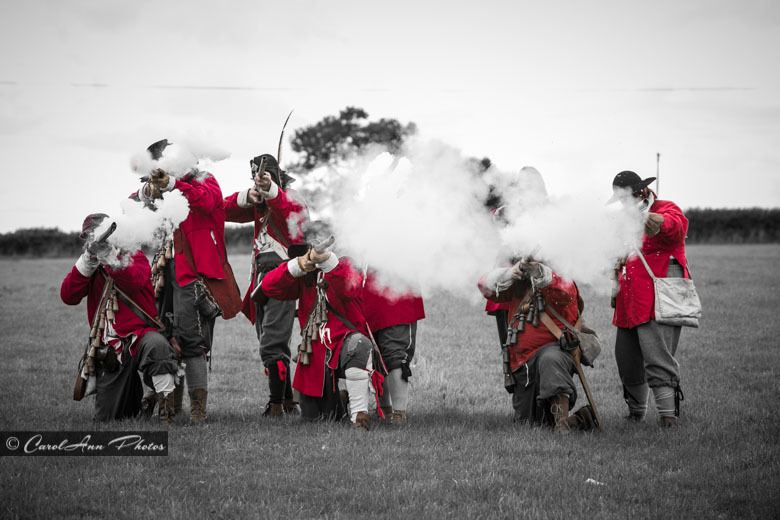 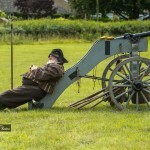 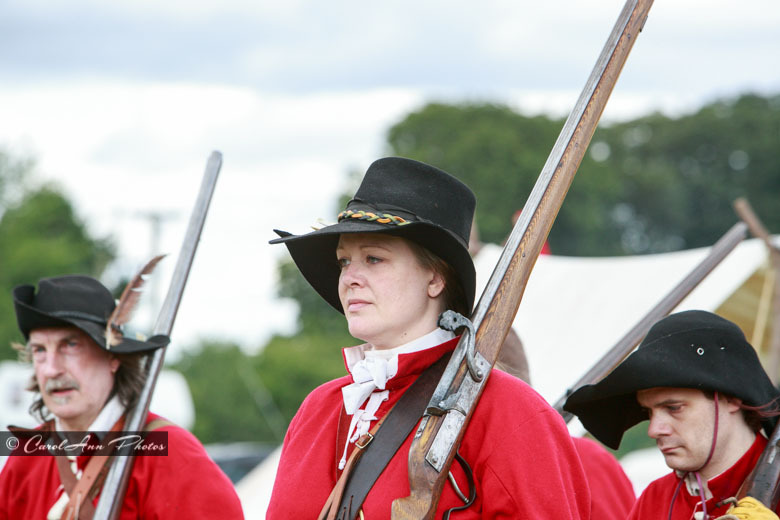 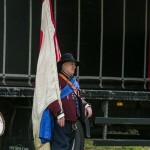 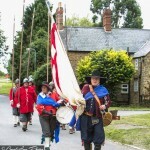 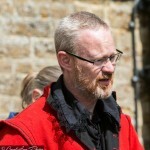 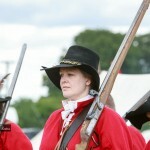 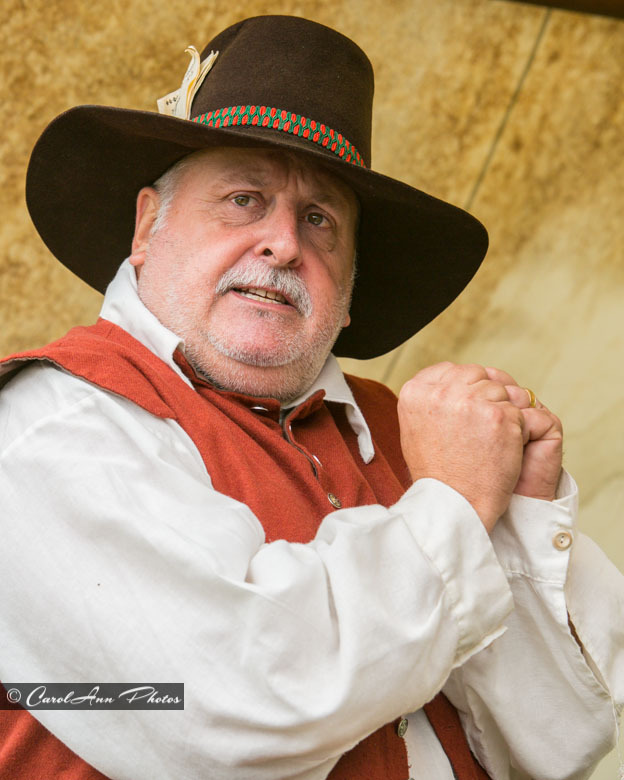 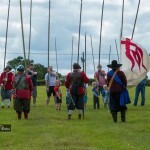 Featuring Colonel Hammond’s Regiment of Foote and located across the road from the Three Conies, this was a fab day for families and those interested in Civil War history. 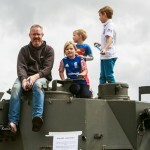 On arrival, we were greeted by our genial host, Richard – the landlord at the Three Conies – who was sitting on top of the tank in the pub car park (don’t ask, I don’t know why it’s there!) 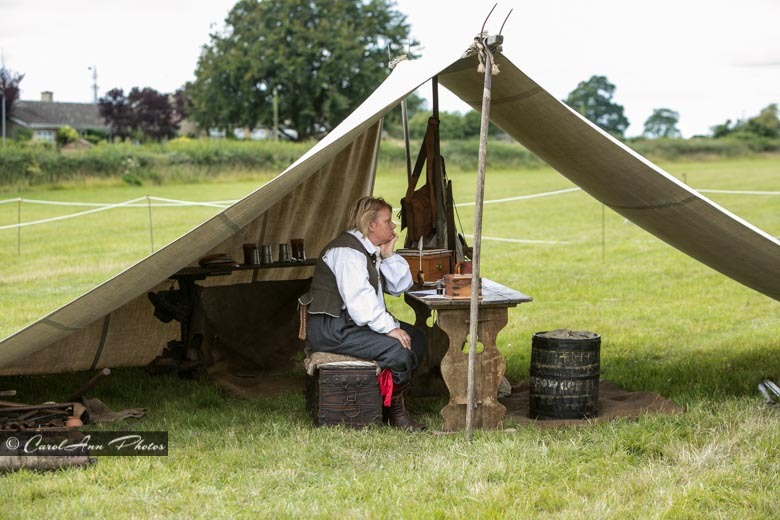 before we went across the road to the camp and, having made our donation on entry, went to look round the tents showing how the soldiers and their wives used to live. 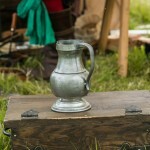 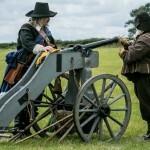 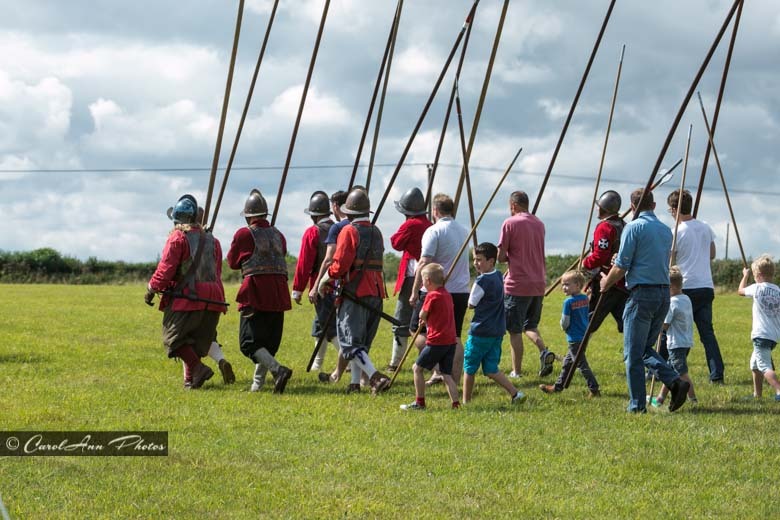 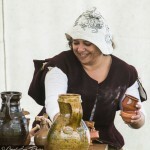 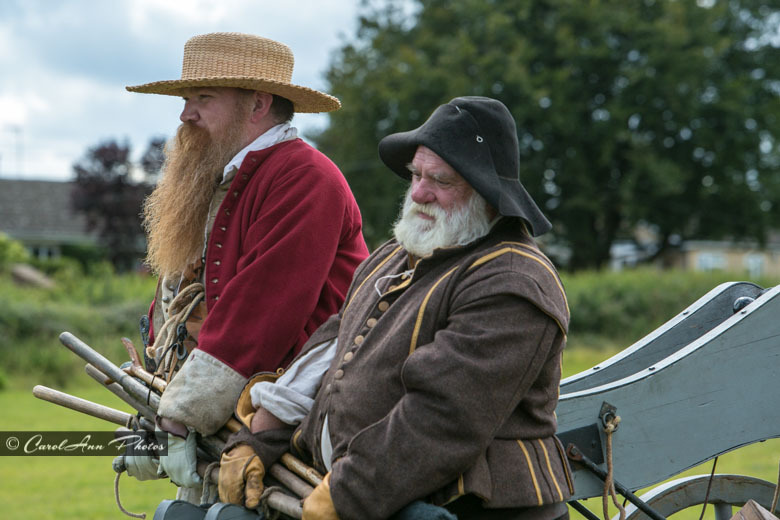 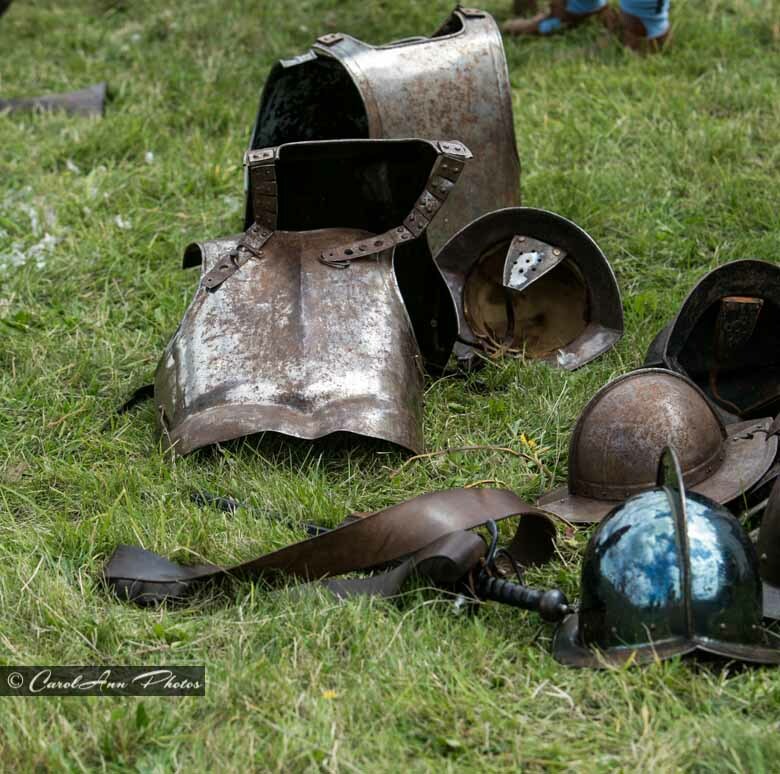 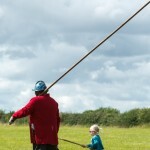 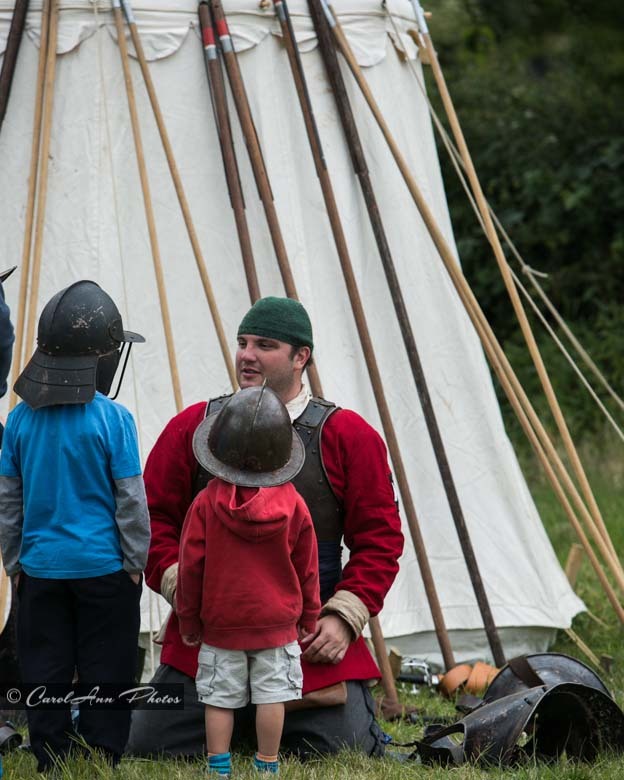 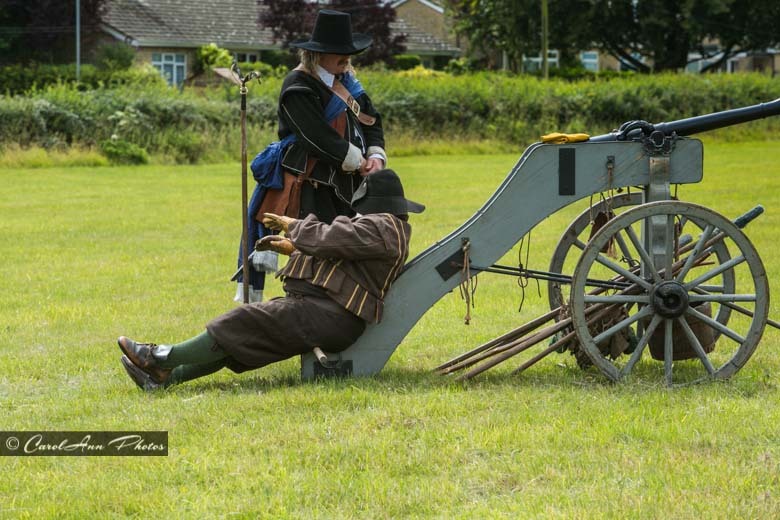 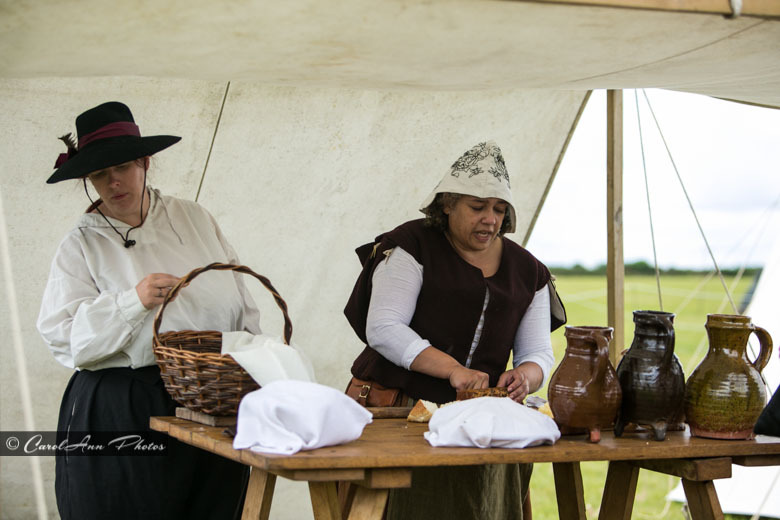 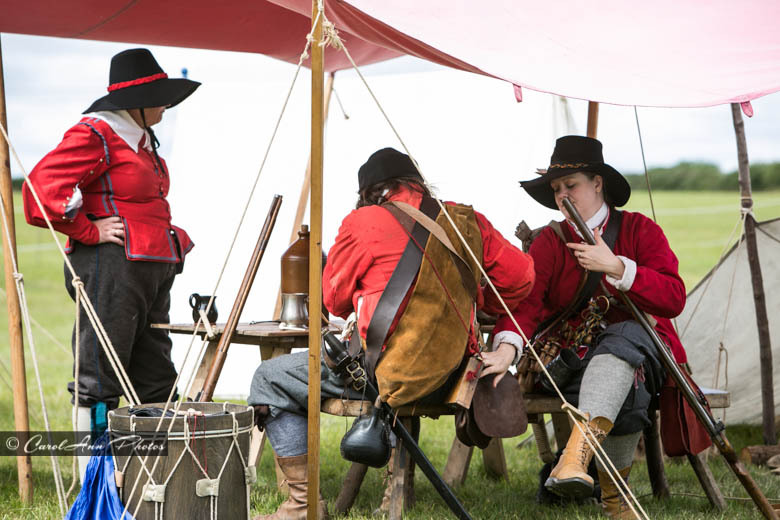 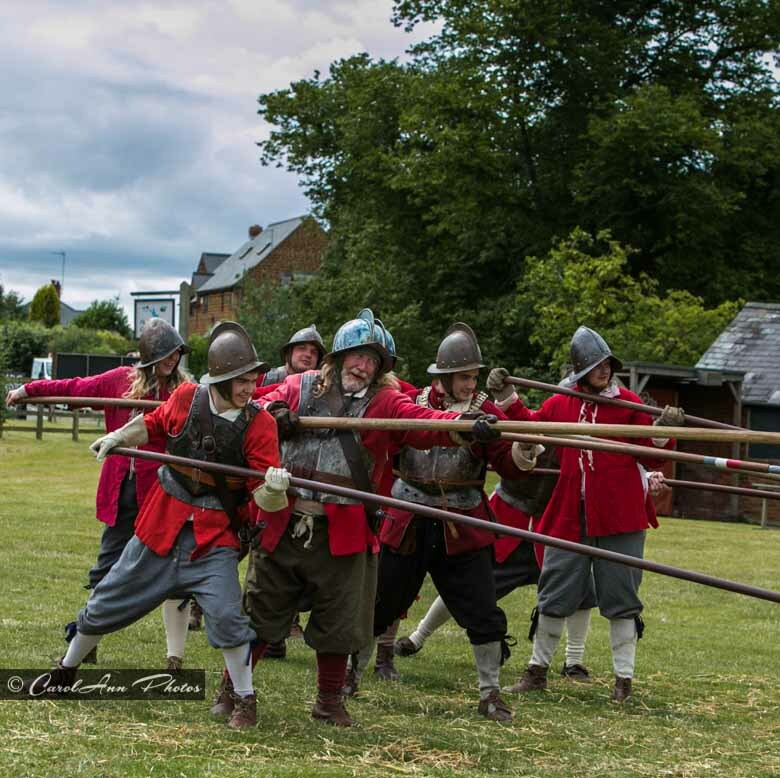 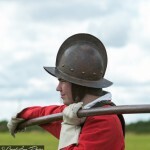 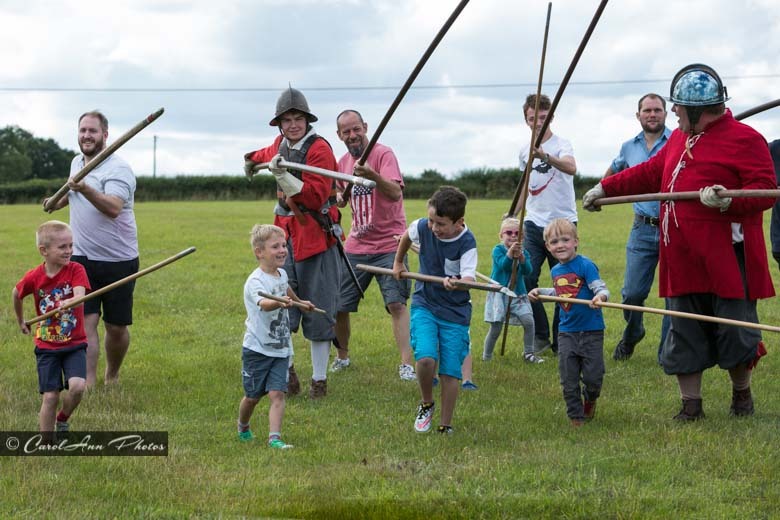 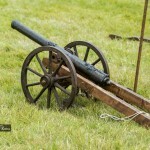 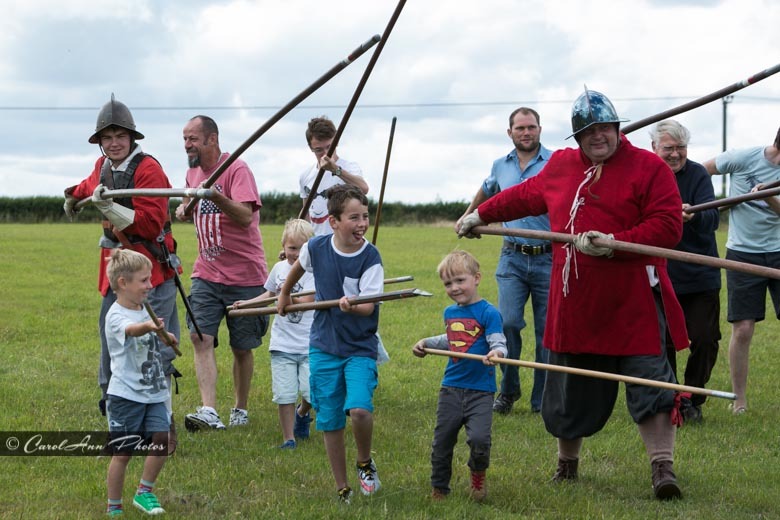 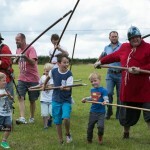 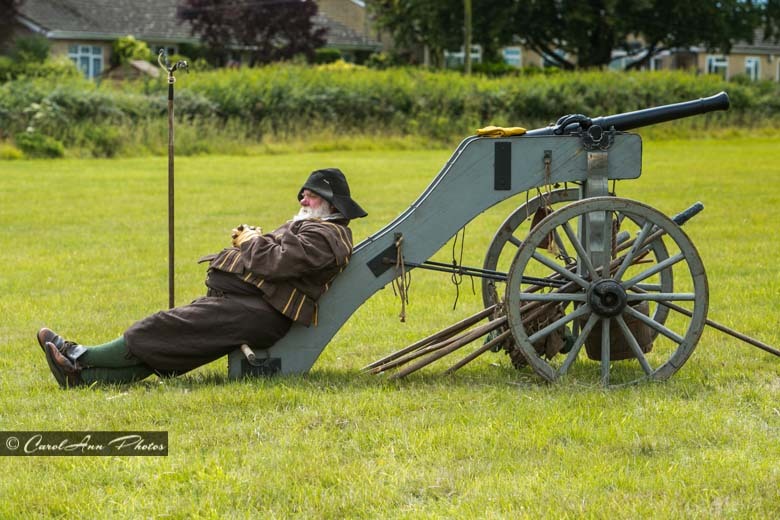 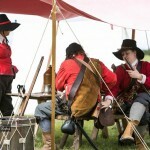 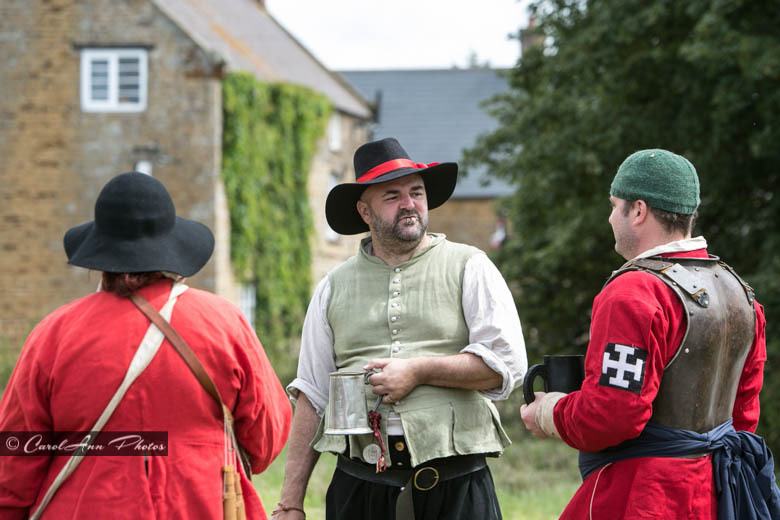 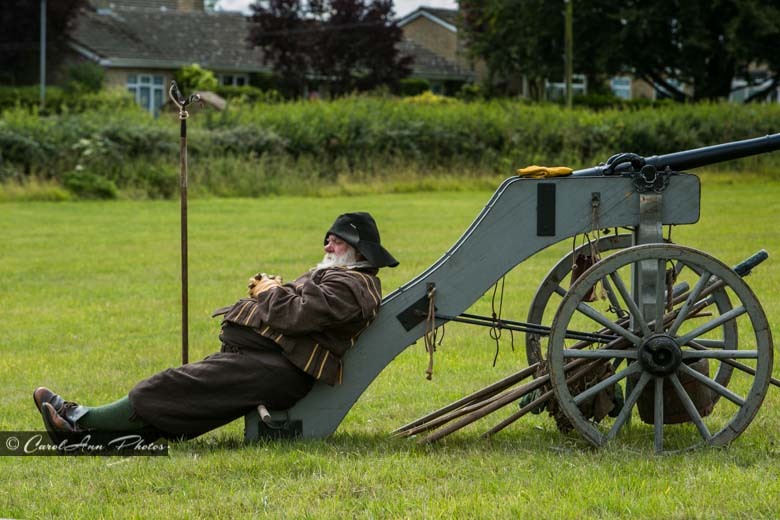 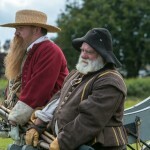 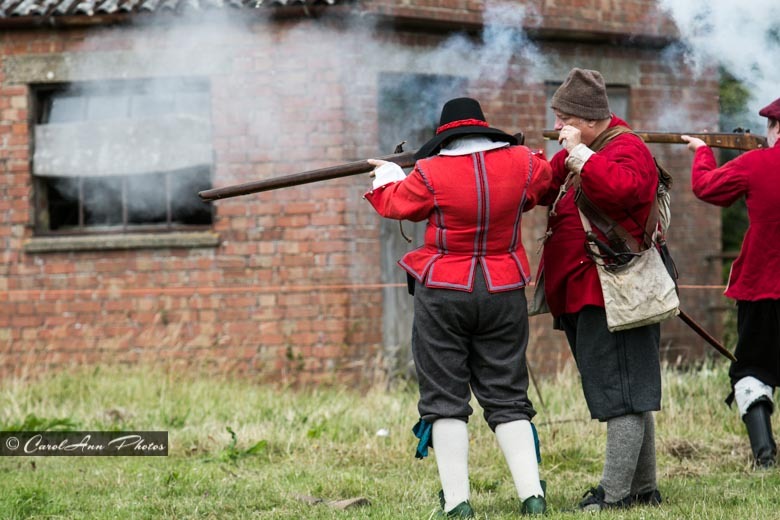 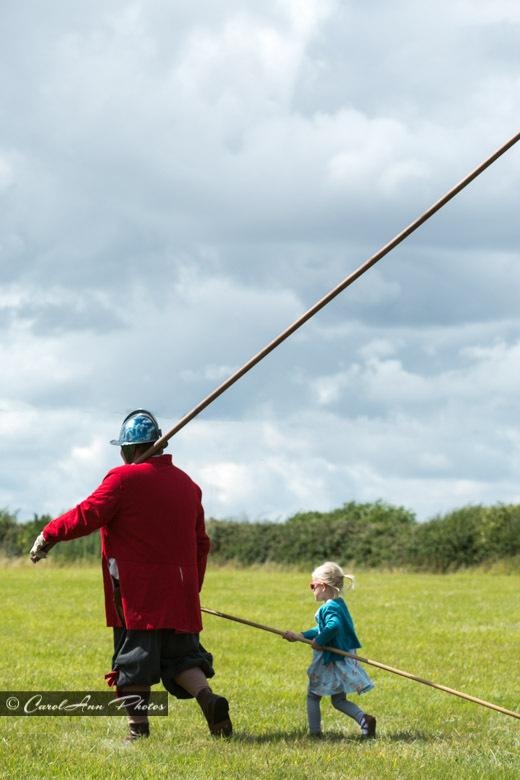 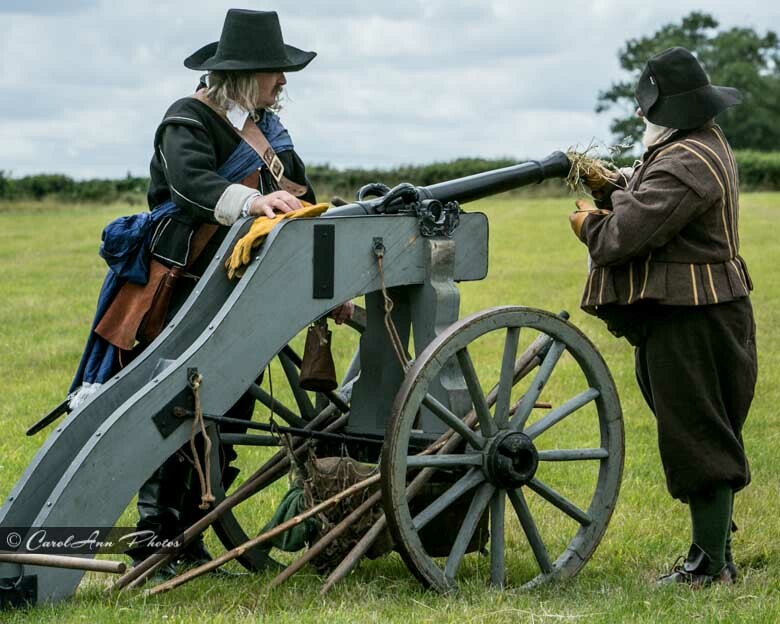 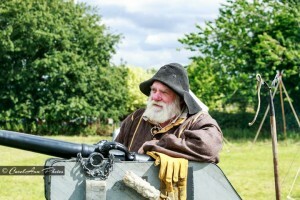 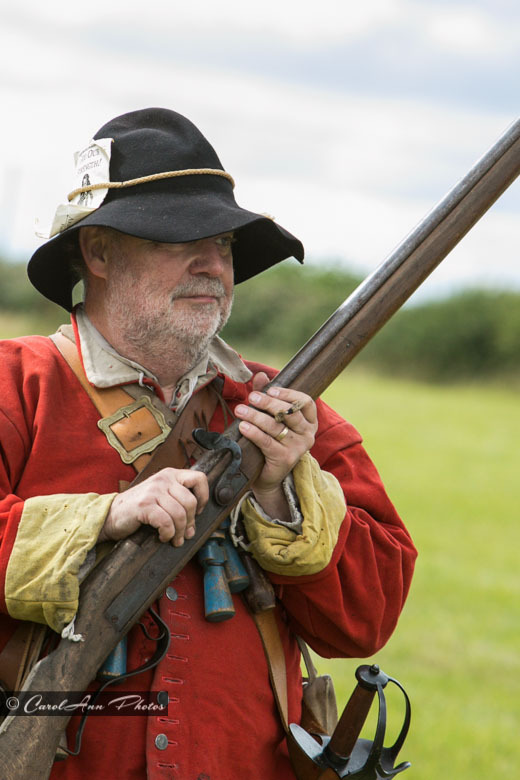 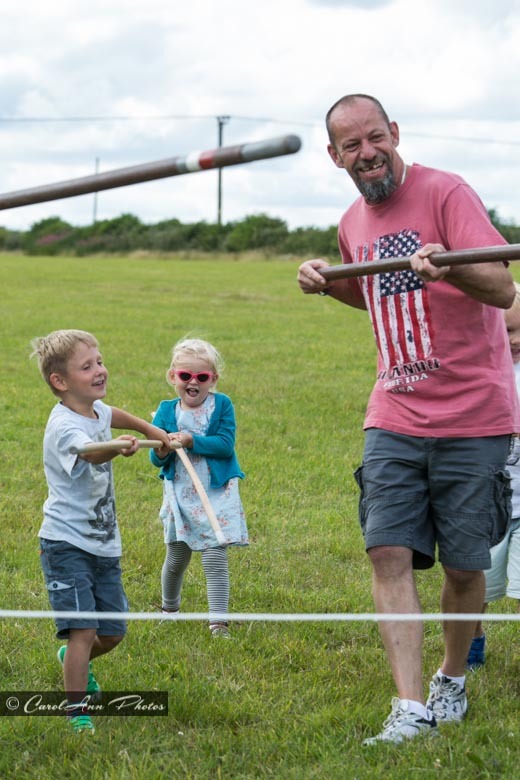 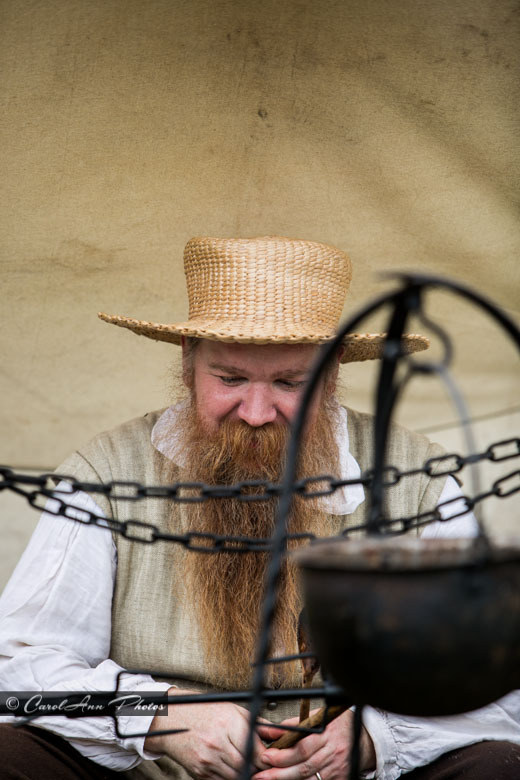 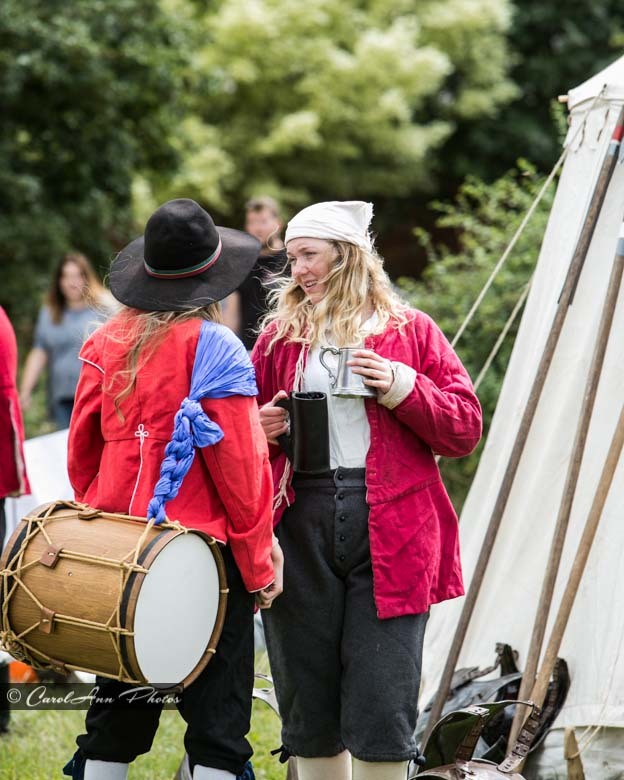 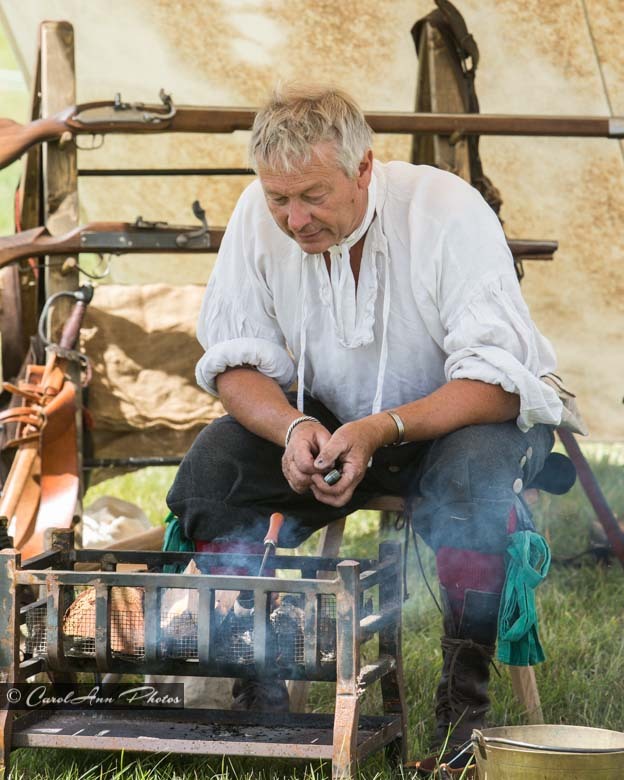 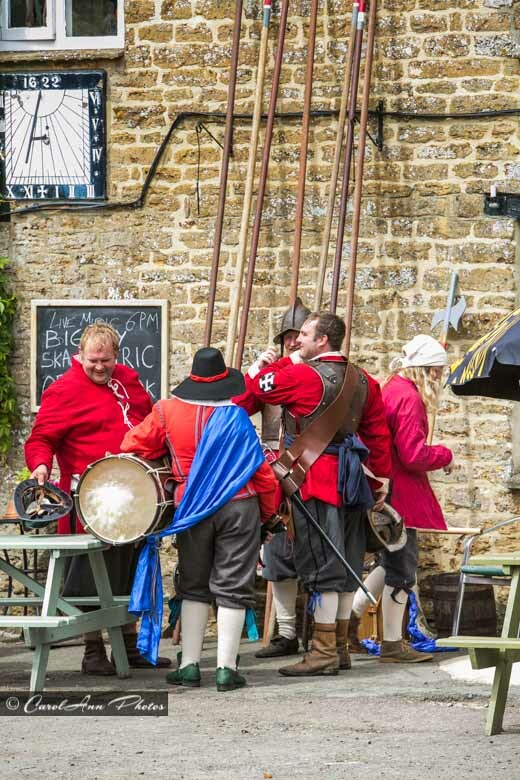 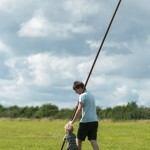 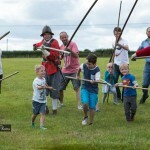 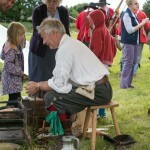 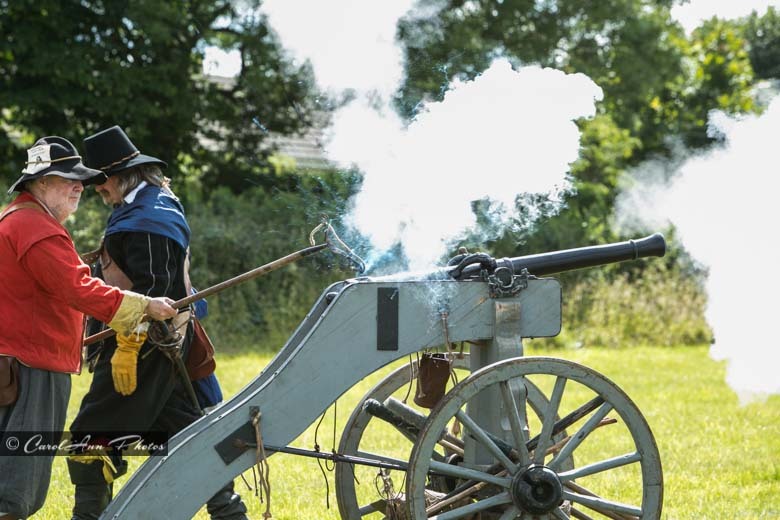 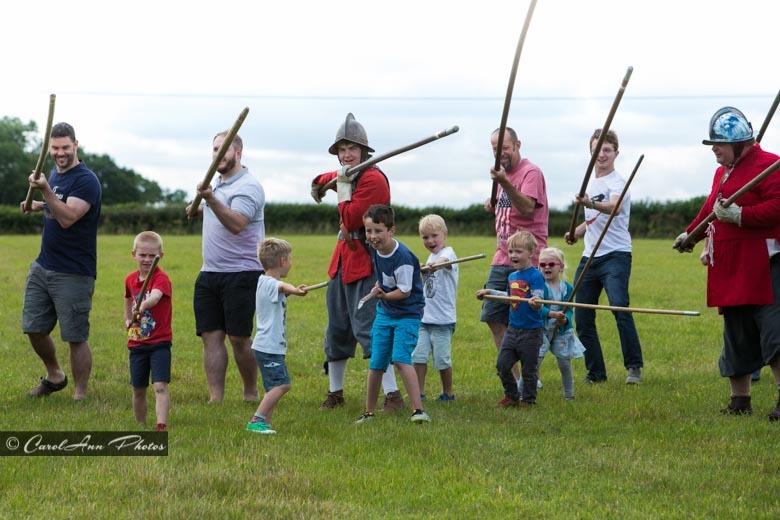 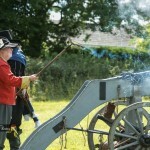 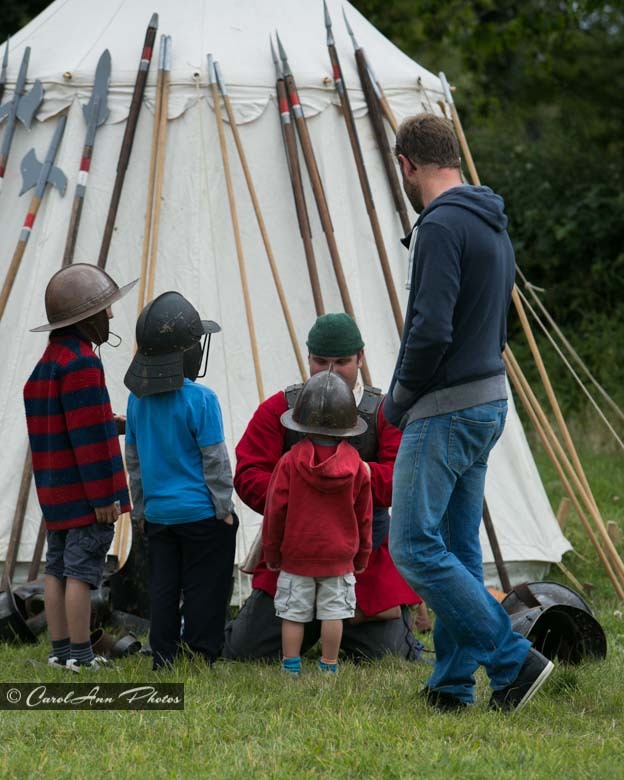 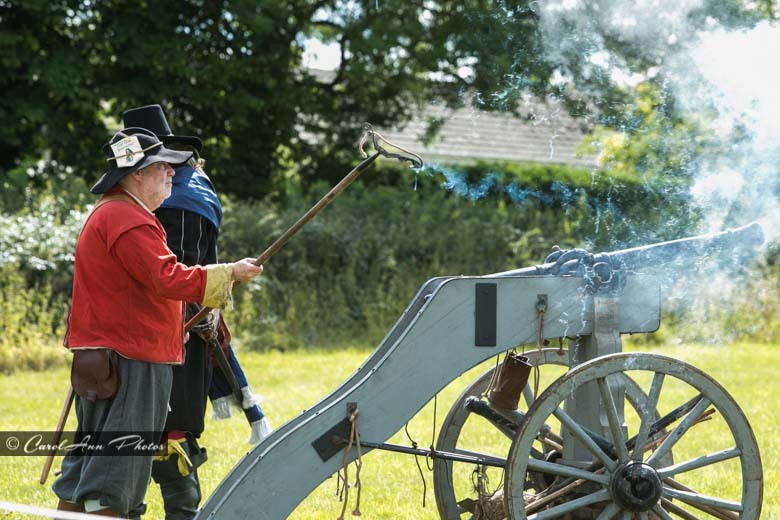 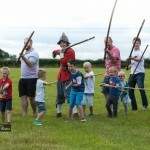 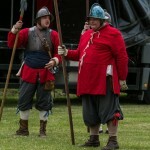 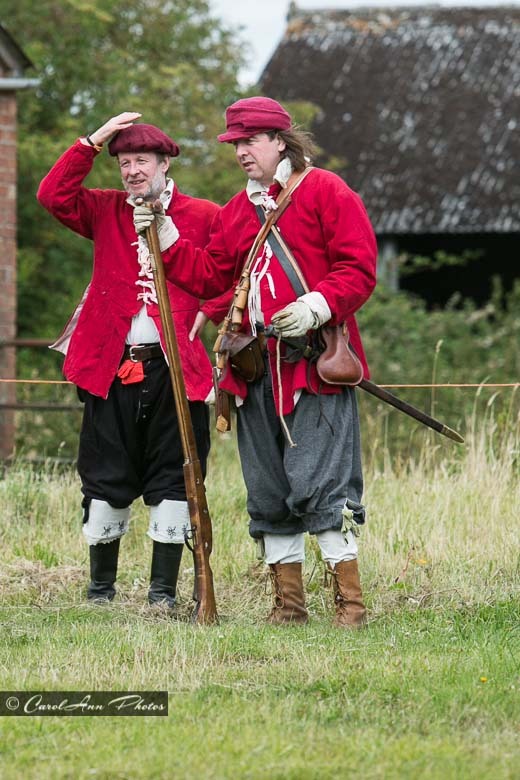 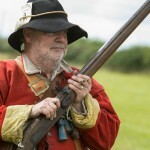 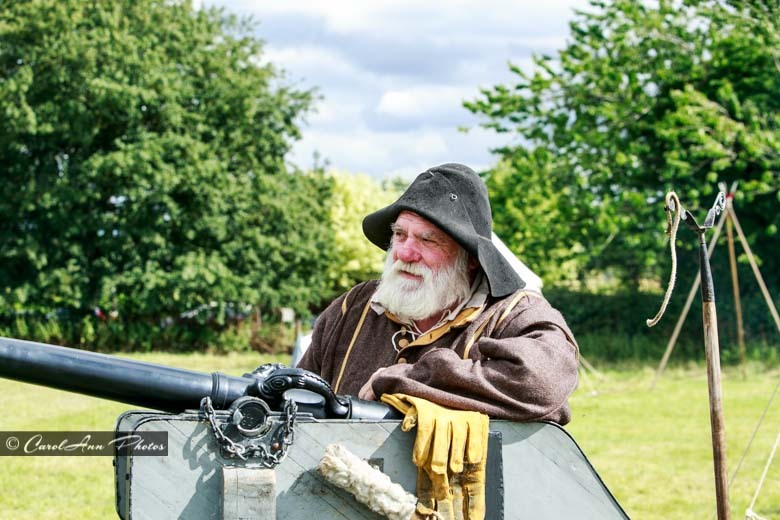 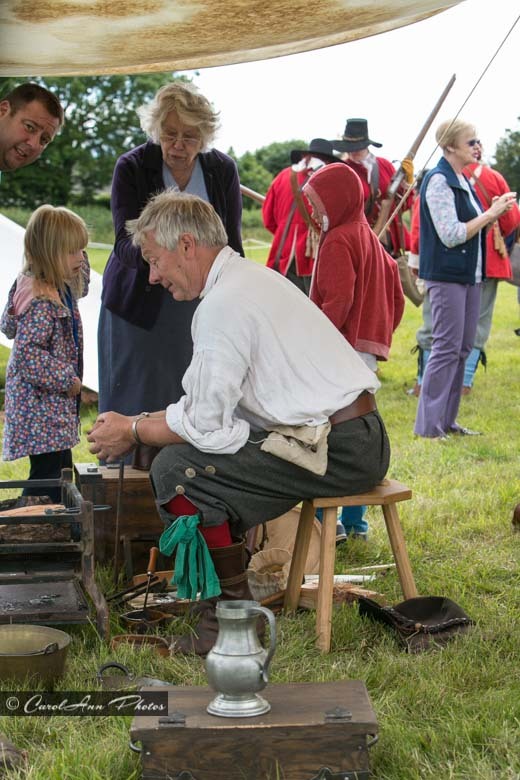 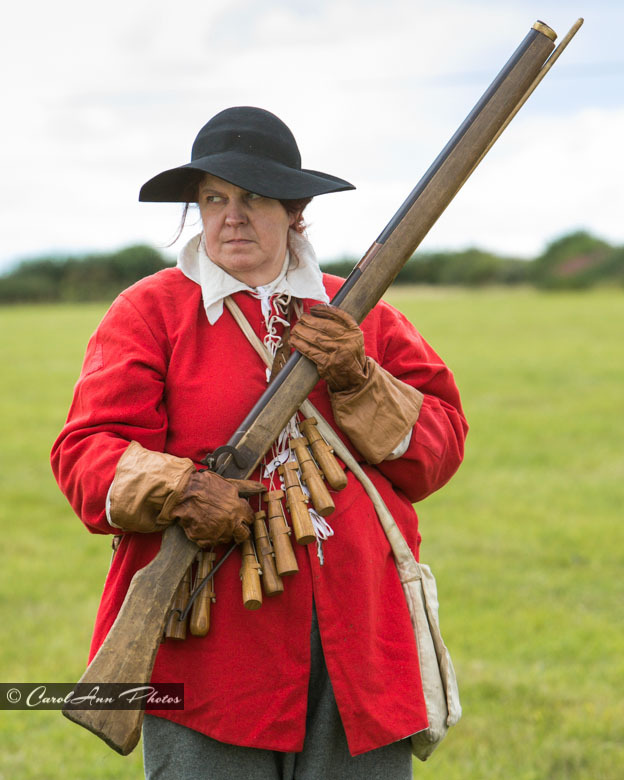 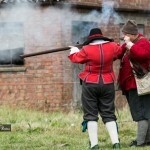 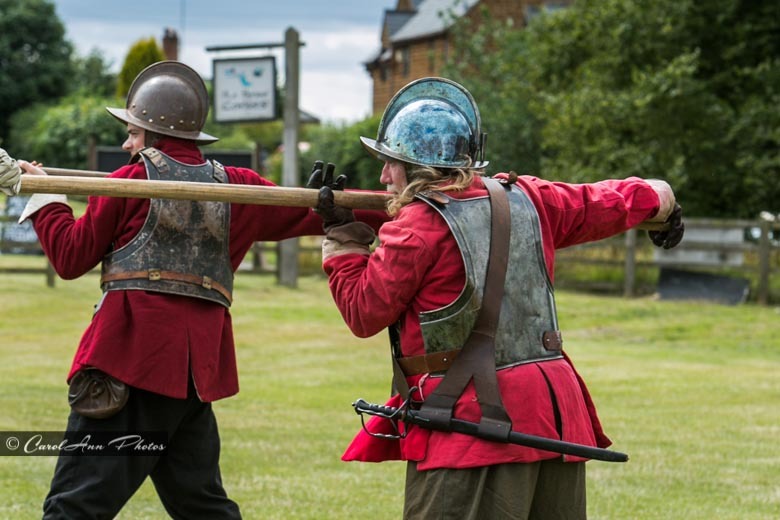 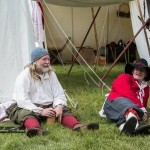 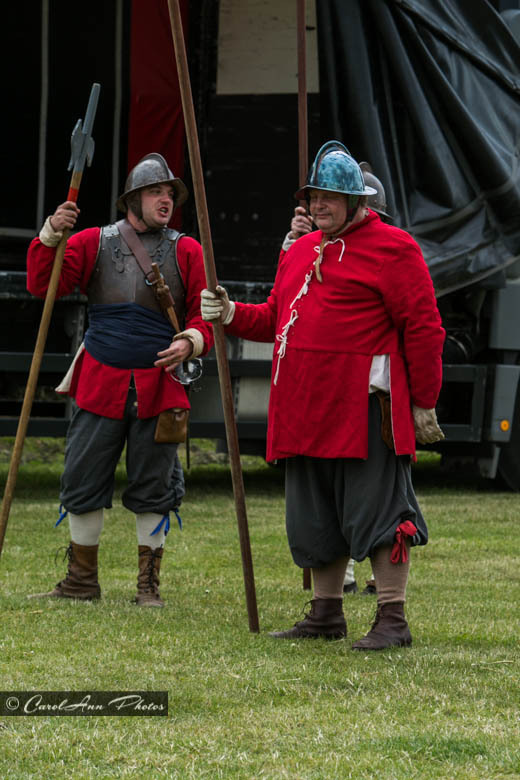 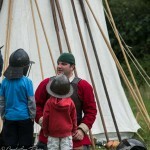 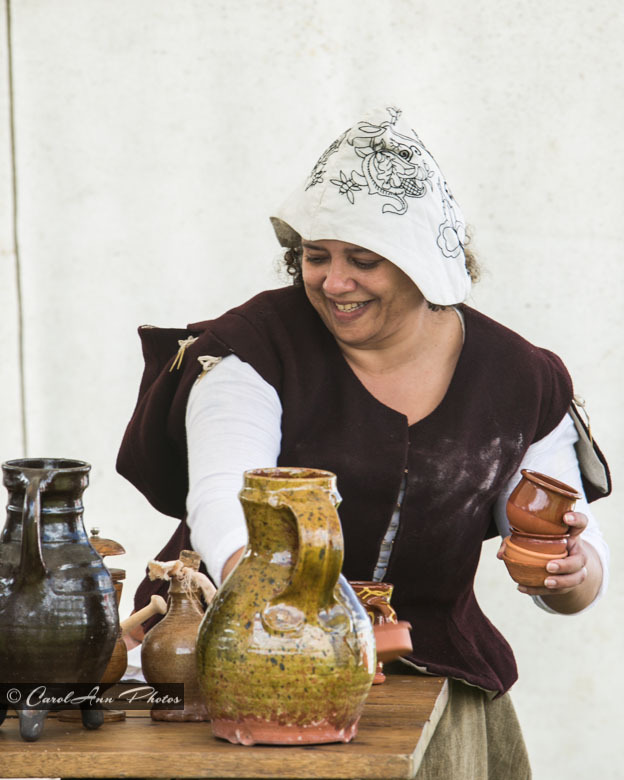 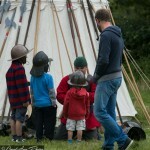 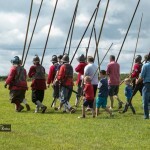 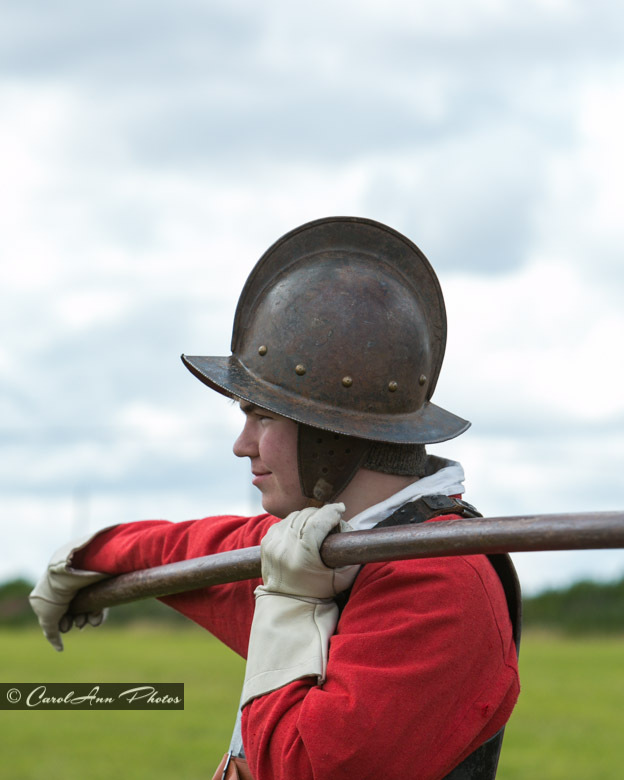 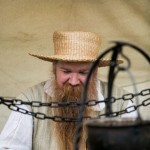 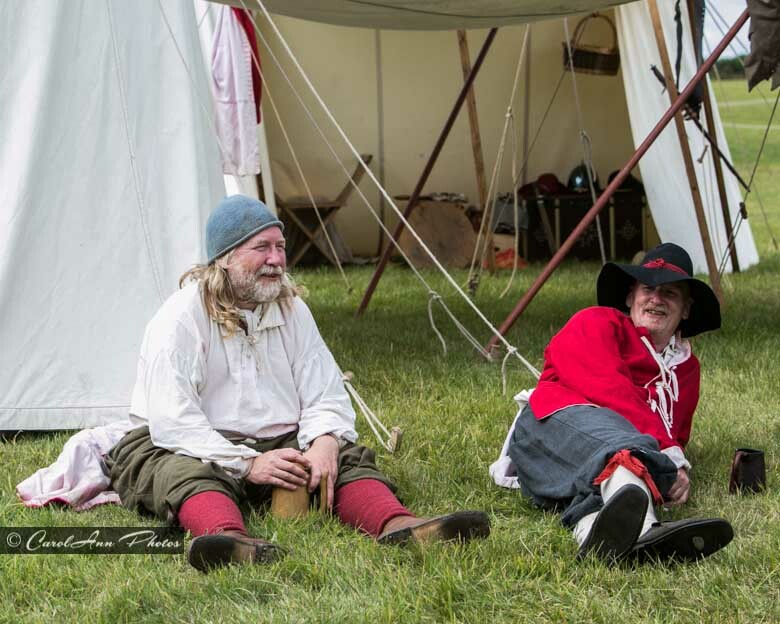 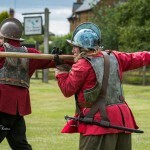 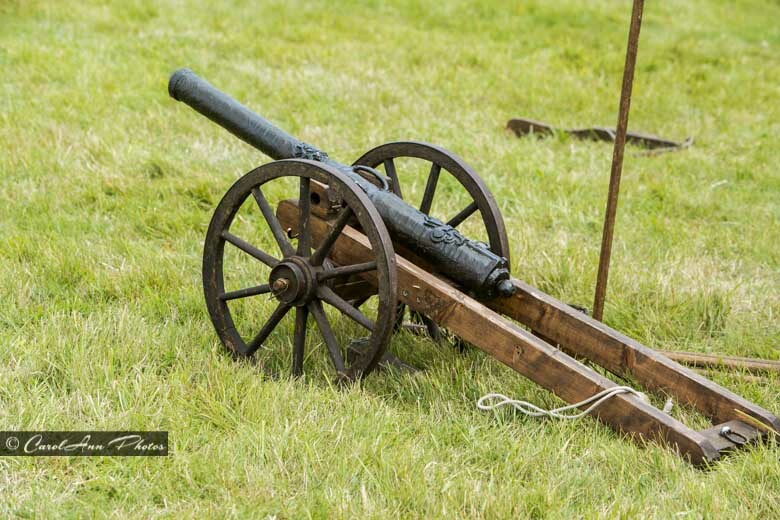 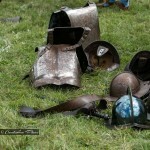 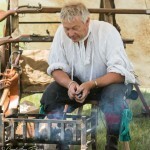 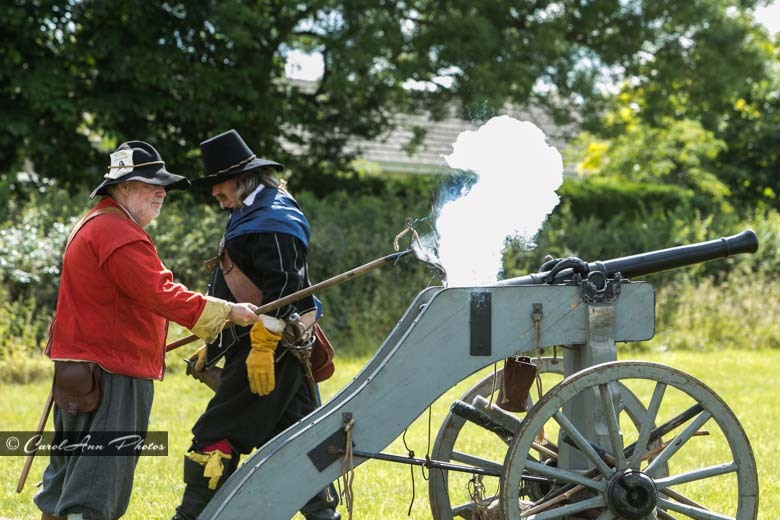 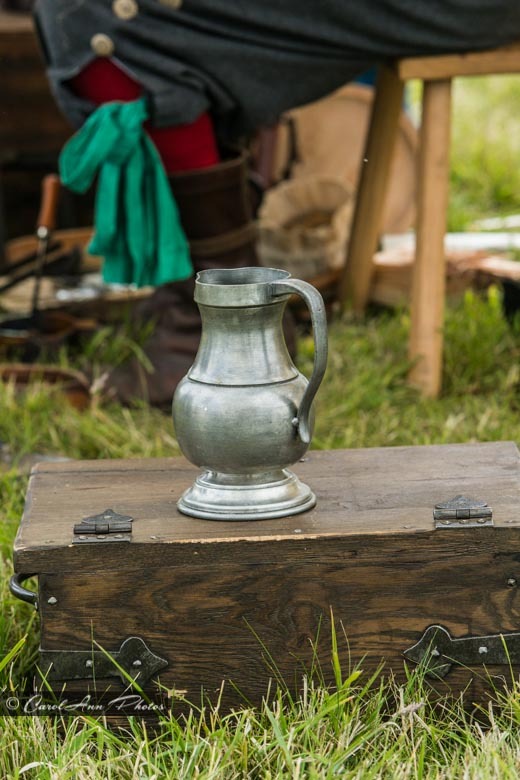 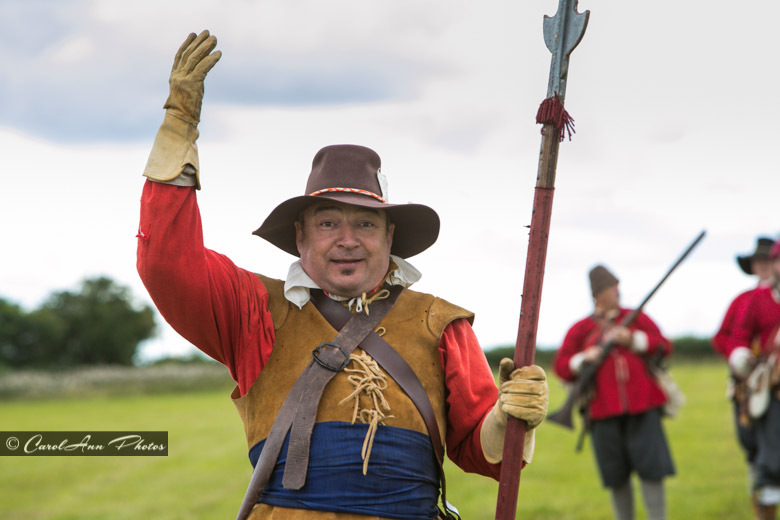 There were demonstrations of shooting, cannon firing and lots of opportunities for children to get involved: whether drilling with a pike, trying on a helmet and armour or watching how pewter spoons and figures were made, as well as how to load and fire a musket. 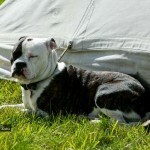 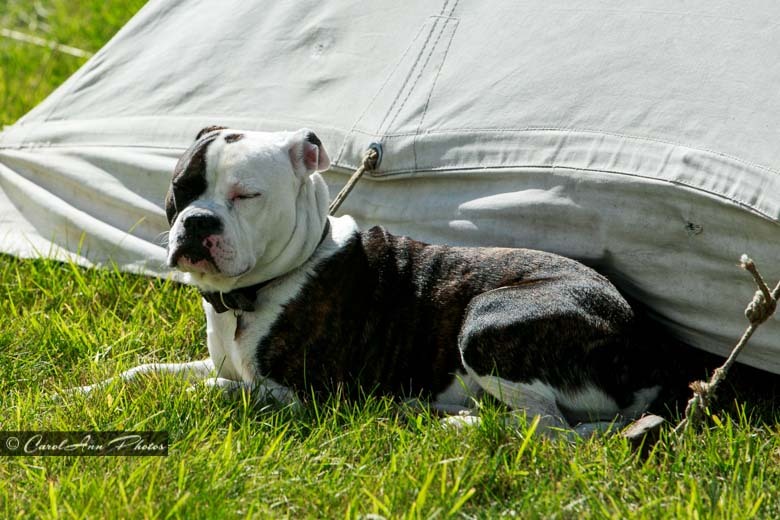 To view a larger version of the thumbnail, please click on it and it will take you into the gallery view. 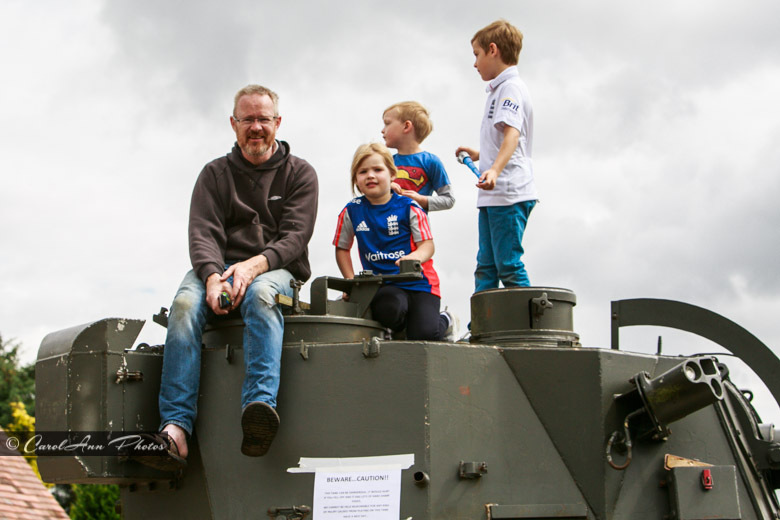 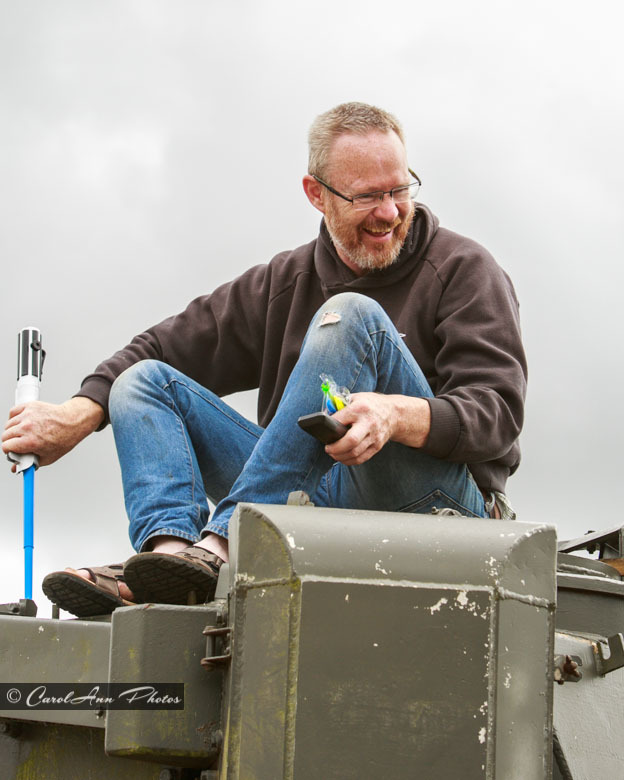 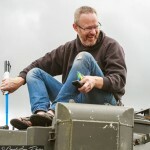 The first two images show the landlord of the Three Conies on his tank, followed by an explanation of what happens when a lead bullet hits you – and a grapic explanation of how they used to try to remove it! 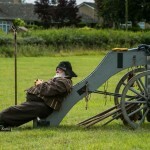 Sleeping? 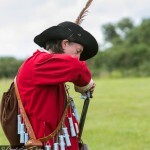 I was just resting my eyes..
How to hold a pike, preparing for the charge and showing their war faces (some more quickly than others) and finally how to hold a pike correctly. 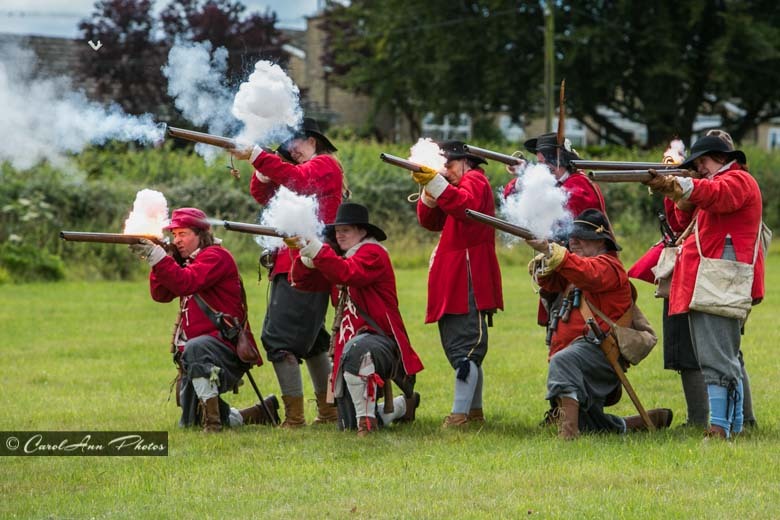 More firing practice: the commander decided it might be a good idea to get the crowd to shout “fire” so that the soldiers could all fire at the same time. 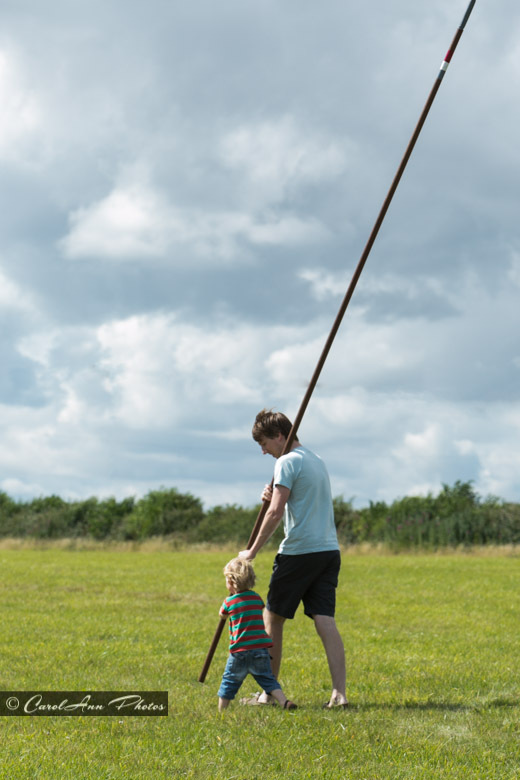 It seemed to work, too. 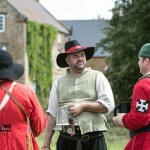 And then march out of the area, and relax.